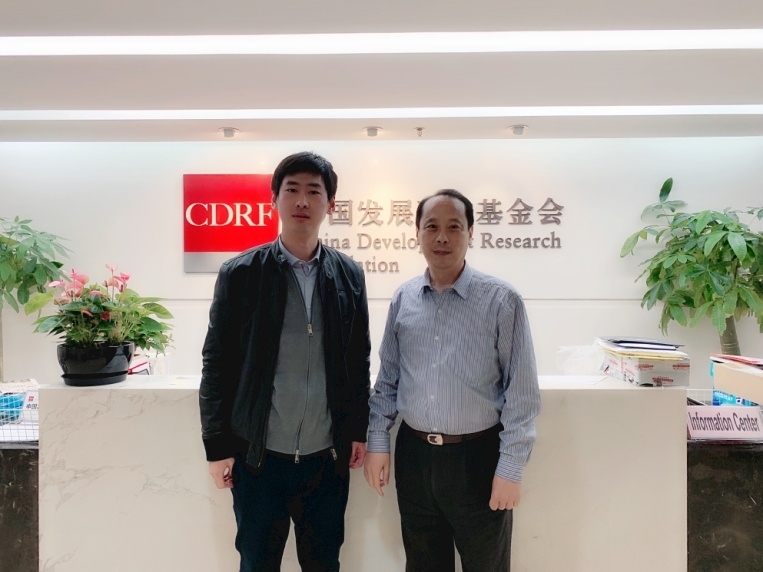 On March 26, 2019, SRCIC Deputy Secretary General Wang Yan visits China Development Research Foundation (CDRF), organizer of China Development Forum, and met with Deputy Secretary General of CDRF and Secretary of Party General Branch Chen Guotang. During the talks, Wang Yan introduced to Chen Guotang the general situation of SRCIC. By taking this opportunity, he also thanked CFRF for inviting SRCIC to China Development Forum 2019, hoping SRCIC could maintain close contact with CDRF and actively participate in the CDRF's future activities. Deputy Secretary-General Chen Guotang appreciated SRCIC for its support to the Forum and hoped to conduct more extensive and in-depth exchanges with SRCIC in the future.